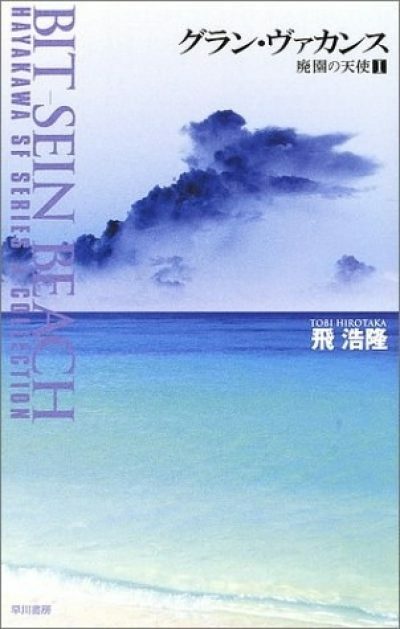 2002’s The Thousand Year Beach is a standalone SF novel by Tobi Hirotaka. The 2018 Anglophone edition was translated by Matt Treyvaud. The Realm of Summer is a pleasing simulation of perfect summer in a Southern European seaside town, an idealization of something that would no doubt prove sadly flawed in real life. This perfection has been unsullied by human tourists for a thousand years (at least by the inhabitants’ virtual clocks), leaving them free to enjoy their lives without the complications humans would inflict. Without warning, malevolent artifacts dubbed “Spiders” invade the Realm. Driven by unquenchable hunger, the Spiders fall on the inhabitants and their surroundings, erasing them from existence. As voids expand across the Realm, only a handful of the inhabitants, sentients like Jules Tappy, Julie Printemps, and other AIs, manage to escape immediate nullification. The Mineral Springs Hotel has thus far been spared the Spiders attention. The survivors believe the hotel, combined with certain other features of the Realm, is their last, best hope to preserve something from the Spiders. When the Spiders pause in their endless consumption, the survivors do not question why. They use the time to ready themselves for the attack they know is coming. Even as they prepare, some ponder an unpleasant question. How is it that the Spiders would spare the one location uniquely suited for defence and that the people with just the right defensive skills would survive? Poor choice on the Spiders part? Or some cunning plan on the part of the Realm’s shadowy persecutor? The Japanese edition had a cover that reflects the peace of the last millennium rather than the somewhat less tranquil last days of the Realm. Looking at Haikasoru’s recent oeuvre, one almost gets the sense there are two Haikasorus. One offers … let’s say straightforward, unchallenging material like the Legend of the Galactic Heroes books. 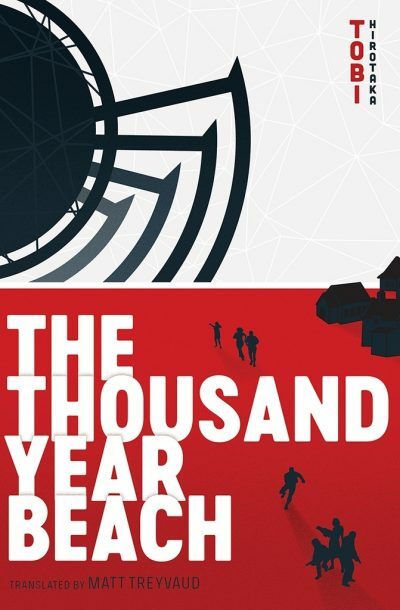 The other offers more demanding books like A Small Charred Face, Sisyphean, and this book, The Thousand Year Beach. Other publishers are up-front about the need to publish commercially focused fiction to support more ambitious, probably less profitable, works. I’ve never read any material from Haikasoru that would declare such a strategy, but their lineup seems to suggest it . The books in the second set tend to be gloomier than the books in the first set. Given that the books in first set often involve galactic-scale warfare, that’s saying a lot. But consider: even if entire worlds are burned off in the struggle between galactic powers, they die knowing that millions of worlds survive. There’s no reason to hope something somewhere survives in the simulated worlds of the Thousand Year Beach. For all the AIs know, humans may be extinct and the Spiders on the verge of erasing the last evidence of their existence. This is a book replete with gruesome deaths inflicted on various unlucky AIs by their smirking foe. Hirotaka’s characters are endearing enough that their deaths are tragic … but the fact that the story is set in a simulated realm kept bringing me back to the fact that this is, after all, just a novel. The true enemy is the author, who seems to have reveled in death. So, not really my thing. At least not at this time. The Thousand Year Beach is available here (Amazon) and here (Chapters-Indigo). 1: I’d be amused at the prospect of someone going straight from Dawn to, oh, Goth because both books are from Haikasoru — if this were not unlikely. Most people pay no attention to the publisher when buying books. Quite a few seem to go by cover, or blurb, or online chatter, and pay no attention to author. How odd.